You get it. 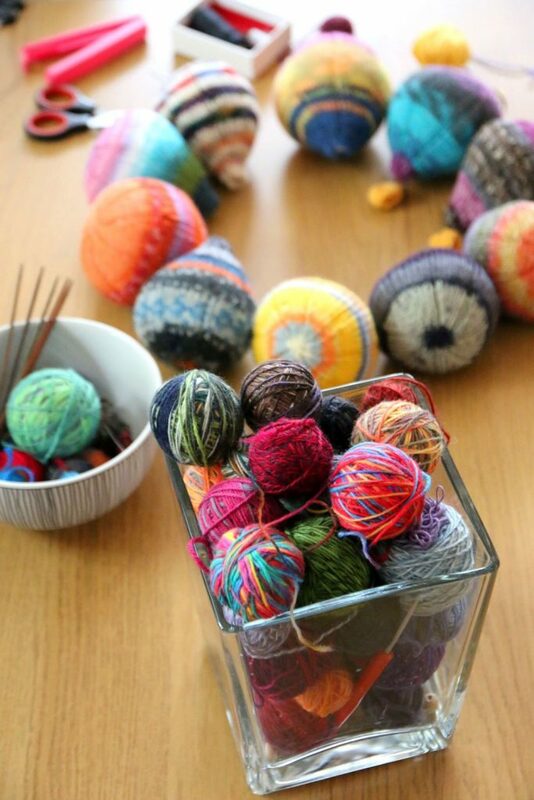 I’m a yarn junkie. 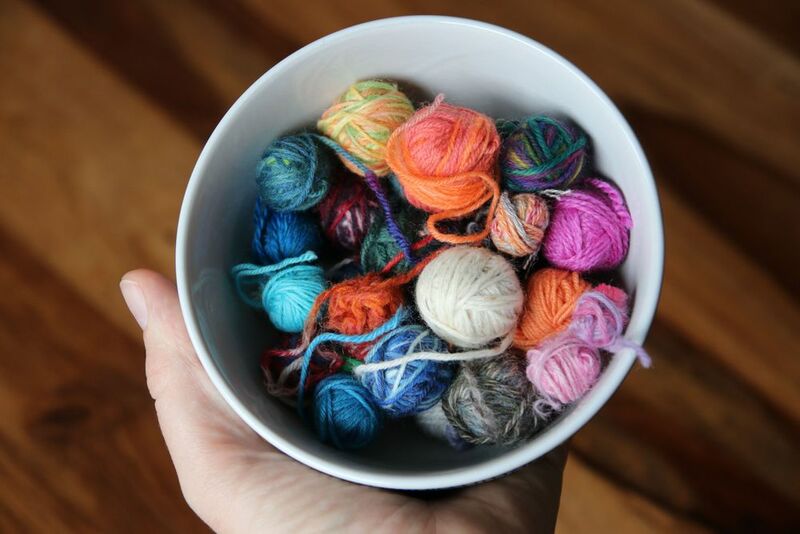 But admit it: So are you, or you wouldn’t be reading this 🙂 So you know I’m addicted to these little bits and scraps of yarn that some people call leftovers, yes? I keep piling them up in a vase, where I can see them every day and they keep calling to me. Take me! Knit me! Be creative NOW! Some days it’s almost unbearable, that noise they make! Well. 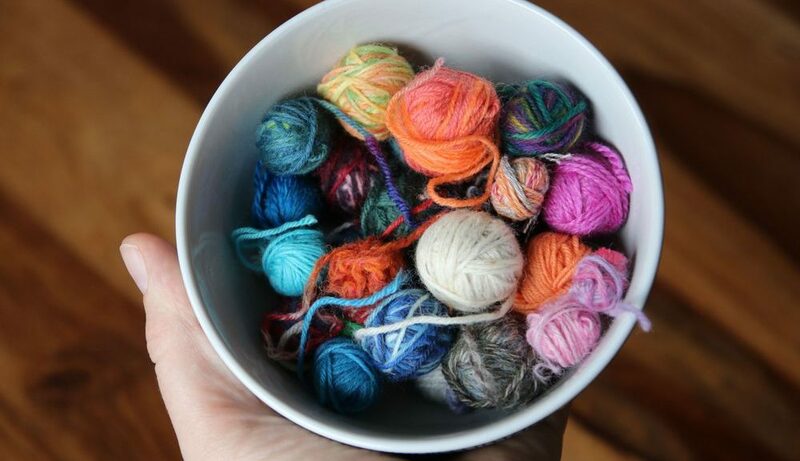 This time I had to give in, so I sorted through this lovely bowl of yarn to get to the smallest bits out for my next projects. 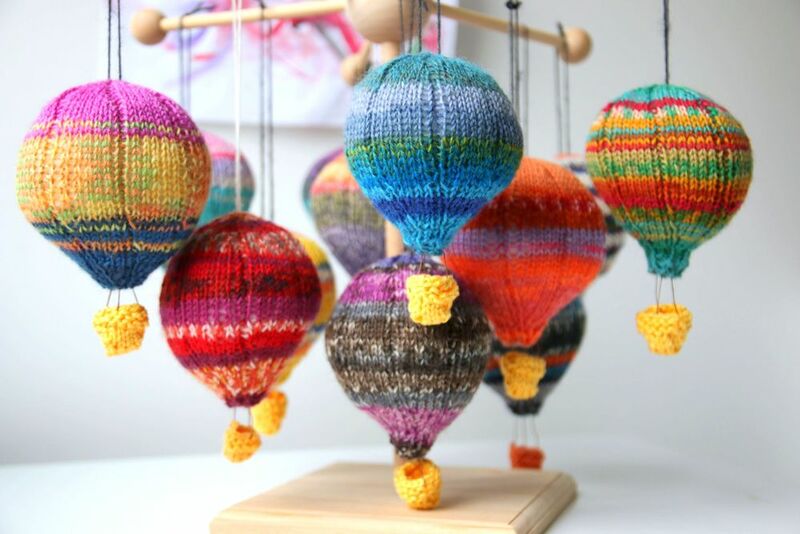 First of all I needed more hot air balloons, as I am knitting some to go to Tüdelkram und Kleine Monster – a store with handmade clothes and toys in my home town Stade in Germany. Fly away and spread some joy! 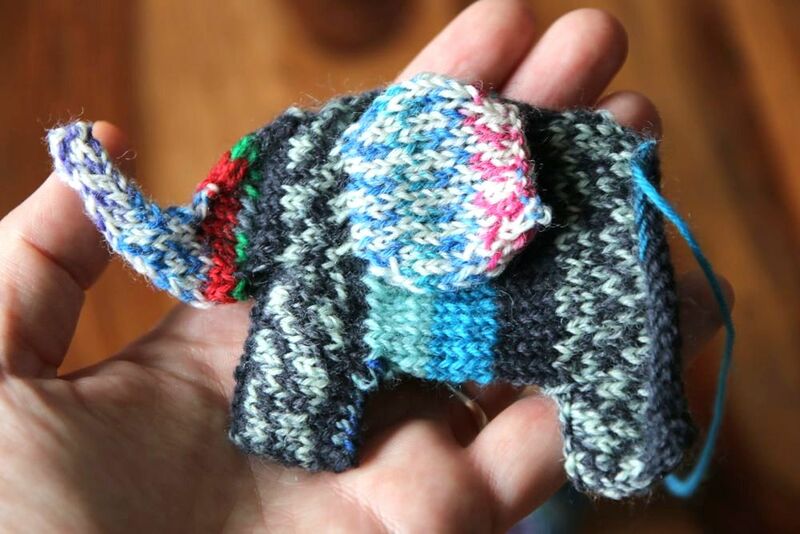 Edit: Scrappyphant pattern Available in English and German on Ravelry, Etsy, Craftsy and DaWanda now! It will come in two sizes, this one and a smaller version that will be happy to relieve you of the tiniest balls of scraps that you are hoarding! thank you! It’s a lot of fun making scrap toys!! Where do I sign up for your email? Looking …. I’m glad you like them! I’ll publish the pattern as soon as my testers give me green light. If you sign up for my newsletter you can’t miss it! Love your website. 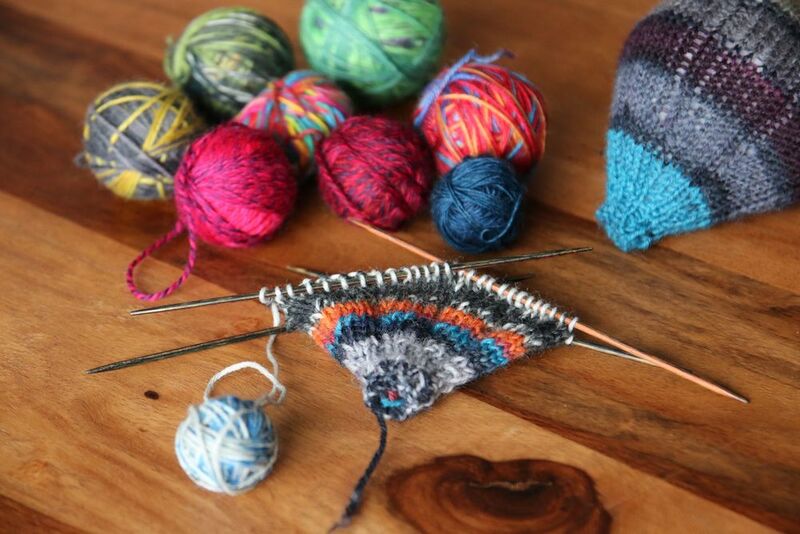 I love knitting and everything to do with knitting and yarn. Thank you! It means a lot to me! What’s your current project? I’m so glad to have seen your post on Facebook. Love your creativity, and yes, I can’t throw a scrap away either (that yarn was expensive 💰). I currently am making 2″ mitered squares (connect as you go) into a shawl I will trim in black yarn. Then what to do with THOSE left-overs? I will check out your patterns on Ravelry (perhaps Pinterest also?). Thanks! Thank you! I love Leftovering 🙂 Mitered square shawl sounds great!! I’m sure you’ll find plenty of inspiration here and on Pinterest (don’t get me started on it!! )… I have a huuuge collection of inspiration there, too! 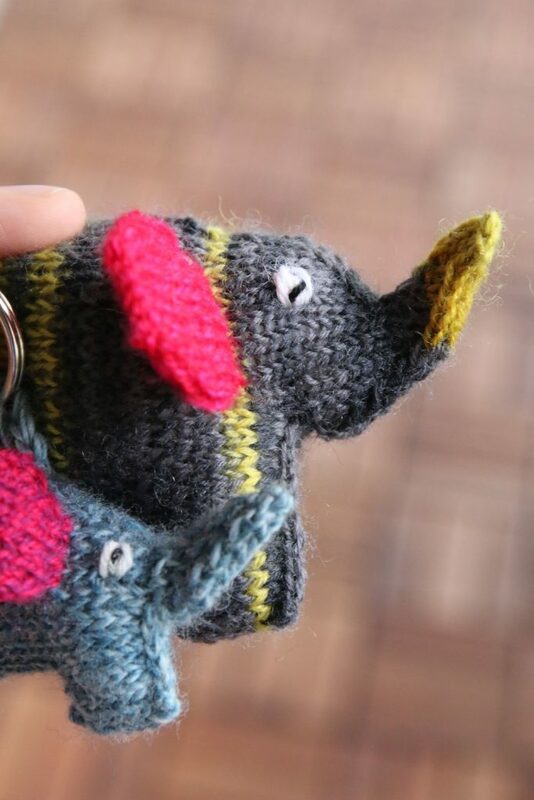 Oooh – using up scraps on elephants, two of my favorite things! I have signed up for your newsletter and look forward to hearing more from you. That mobile is amazing!! I love it! Well done… And thanks for the idea on the scraps! I love how it doubles as a decoration! Awww thank you! It makes my kids (and me, too!) 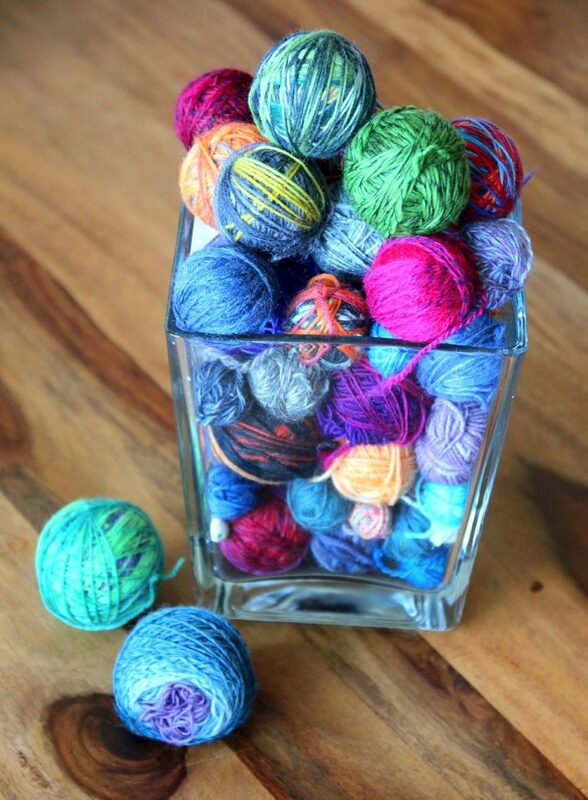 very happy 🙂 And there is no lovelier decoration than yarn, why hide the little balls of joy? What a great use of scraps. That elephant is really pretty. thanks so much! It was fun making him! Aaaawwww! So cuuuuute! I definitely need to make at least one in 2018! And I doubt I can stop after one, right?